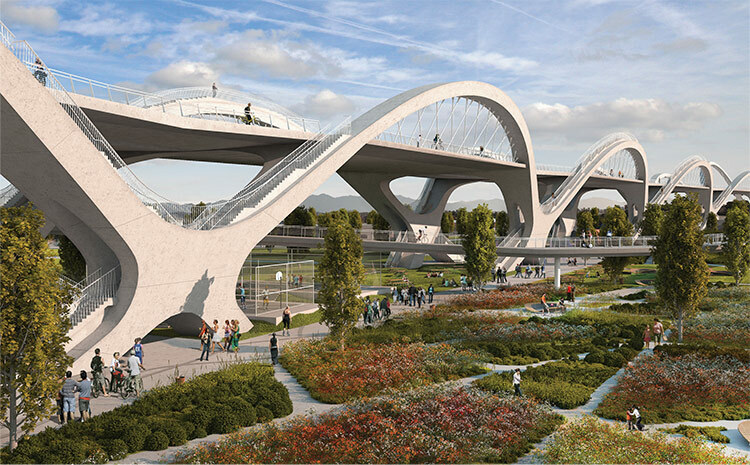 In September, AN reported on the three proposals to replace Los Angeles’ iconic but crumbling Sixth Street Viaduct by HNTB, AECOM, and Parsons Brinckerhoff. The three teams have notably added pedestrian amenities and adjacent lush landscaping to the 3,500-foot-long cable-stayed span. While the renderings were compelling for each design, these video renderings fly the viewer in and around each proposal for a more detail view of what might soon be built in LA. Take a look.